Everest Base Camp Trek in September Doable? Home / 10 Best Treks in Nepal – The Ultimate Guide for Trekking in Nepal / Everest Base Camp Trek in 2018: The Ultimate Guide / Everest Base Camp Trek in September Doable? Arrives September, Nepal bids goodbye to the sunny summer and wet monsoon. 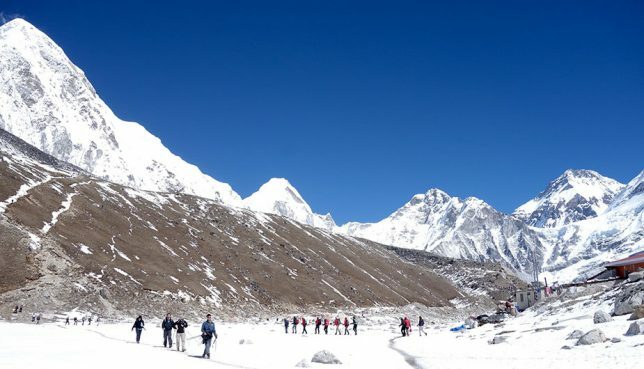 And with the winter not in sight, tourists flood to trek to Everest Base Camp region making it one of the busiest months for trekkers as well as trekking facilitators. The precipitation drops to one third in comparison to the month before it. The daytime temperature also drops fractionally making sure that the trekkers don’t have to worry about hot and humid temperatures while trekking. The month of September also hosts various festivals such as Teej and Rishi Panchami glowing the nation in a cultural and religious warmth. 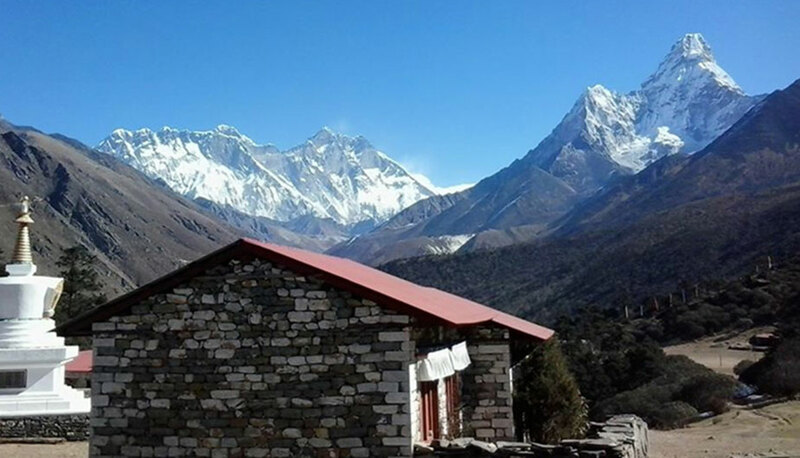 With many wonderful features in this auspicious autumn month, it shouldn’t come as a surprise that trekkers enjoy trekking to the Everest Base Camp in September month a lot. Let’s face it. You wouldn’t want to trek in the mountains during extremely cold temperatures. And you wouldn’t want to trek when it is too warm. You also would want to avoid any rain. So what’s the month that takes care of all these problems? Would you want to miss out on the cultural experiences that are on offer in the Everest region? Obviously NOT! A place feels almost unexplored if there are not many people to talk to or to draw experiences from. 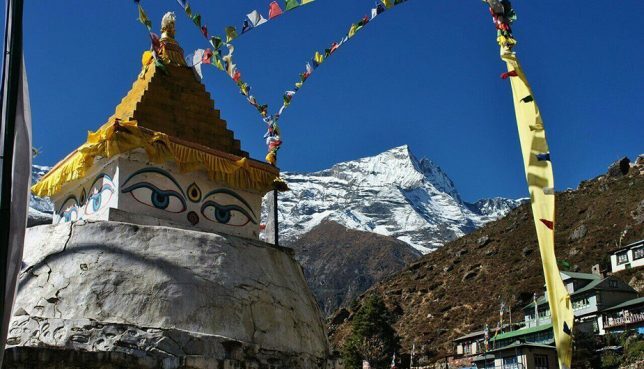 Besides, when you go to the monasteries in the Everest region, you would want to interact with kids and adults alike and get a personal attachment to the land as well as the people. This exactly what the month of September in the Everest region has to offer. During summer or winter, there are chances that your flight might get delayed or cancelled. This is due to the fact that rain in the monsoon coincides with the summer. And due to excess fog, the flights in the winter can also be delayed. The chances of this happening in September is quite low. 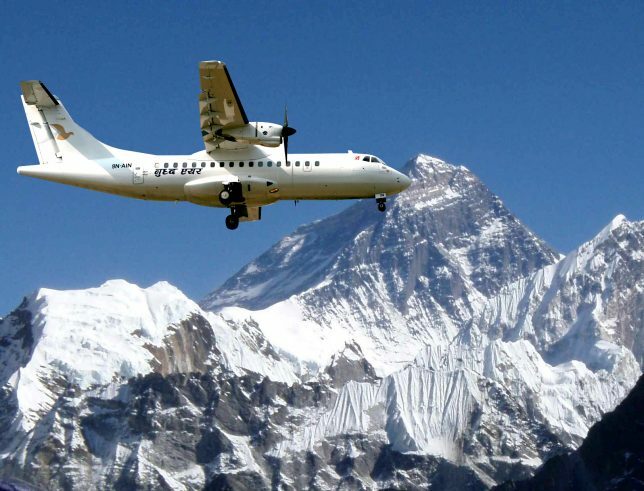 Therefore, you can enjoy scenic flights to and from Kathmandu. You will get to view the awesome Himalayan range, home to some of the most beautiful peaks in the world. Namche Bazaar, the capital city of Sherpas, is buzzing in the month of September. You can trek from Phakding to Namche Bazaar. Namche Bazaar also serves as a perfect place to get elsewhere in the Everest region. With perfect climatic conditions and city full of people with wonderful mood, September gives you a very good outlet to stroll in this place and get acclimatized with the wonder of this city. The view of the mountains is what everyone aspires to see when they trek in the Everest region. And while doing that, they also strive for weather that facilitates the viewing in a comfortable way allowing enough viewing time. September is the month that is exactly made for that. Autumn season in Nepal starts in the month of September. The autumn brings clear skies and results in wonderful vegetation. The amount of precipitation is just 40 mm leading to a lower amount of rain. The speed of the wind is also mild. With such mild temperature, do I need to explain more why September is great for trekking? Everest Base Camp comes in a variety of Packages. You can complete your trip in 1 day or you can take one month to complete your trek. It all depends upon how and where you want to trek in the Everest region. 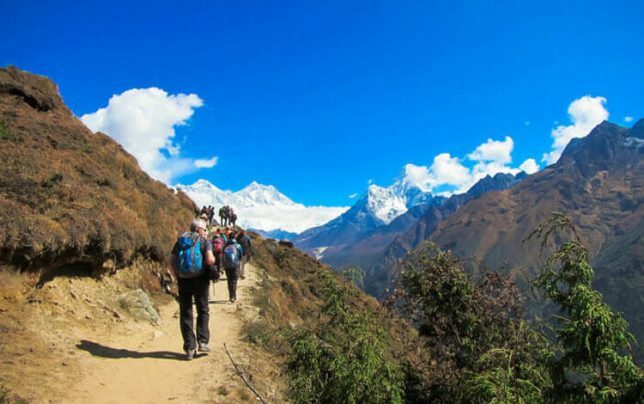 Unlike other treks in the Everest region which start from Lukla, the Jiri to Everest Base Camp trek starts from the relatively low altitude of Jiri. Jiri is merely 2000 meters above the sea-level. The complete trip of Jiri to Everest Base Camp trek lasts 26 days. What makes Gokyo valley an awesome place beside the mountains are the lakes. The lakes are the jewels of this region. The deep blue lakes surrounded by the mountains makes it a dream of a valley. The Gokyo valley trek lasts 15 days long. This thrilling trek lasts for 25 days. A journey in this route is full of mountain passes like Kongma La pass and Cho La Pass. 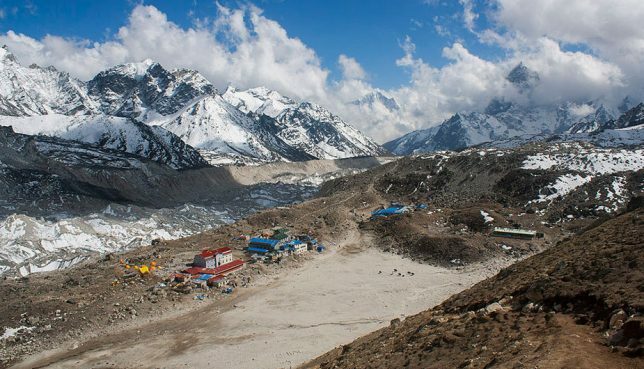 You’ll have the added benefit of traveling to a Base Camp beside the Everest Base Camp- the Island Peak Base Camp. You’ll cross the 6000-meter mark and climb the Island Peak. If you’re too tired to trek or too bored, then the Helicopter tour to Everest will come to your rescue. 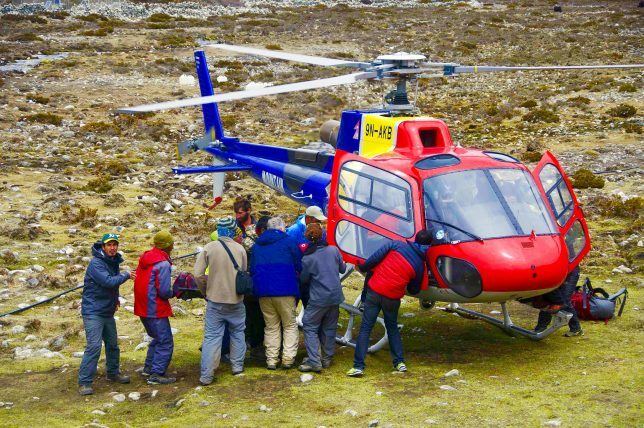 All you need to decide is if you want a private Helicopter tour or join a group and you will be safely transported to the Everest Base Camp. This wonderful package makes the Everest Base Camp region easily accessible. There is nothing like someone continually guiding you and giving you a helping hand while trekking. The wonderful English speaking guides and porters in this region will be handy along the trek. 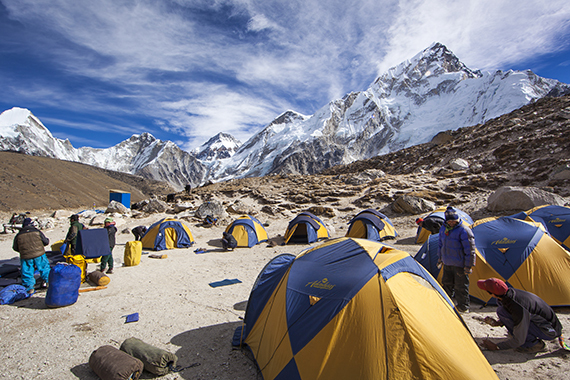 Read more about hiring a guide to the Everest Base Camp here. When you consider trekking to Everest, I would recommend you to get a travel insurance. In case you want to charter a helicopter if altitude sickness gets the better of you, you might have to pay 5000-10,000 $. Besides, there might be other problems along the way. Travel insurance to Everest comes at a cheap price. Make sure to check what the insurance policies consist of. Just because the temperature while trekking becomes pleasant, it doesn’t mean that you drop your guard when it comes to packing. No matter which season you travel in, packing is the most important thing to make sure that you have a safe trip. September is one of the most important months for the tourism industry in Nepal. And that applies to the trekking industry of the Everest region as well. So, prepare for your treks in the Everest region in the month of September and be prepared to be greeted by many fellow travelers from around the world!